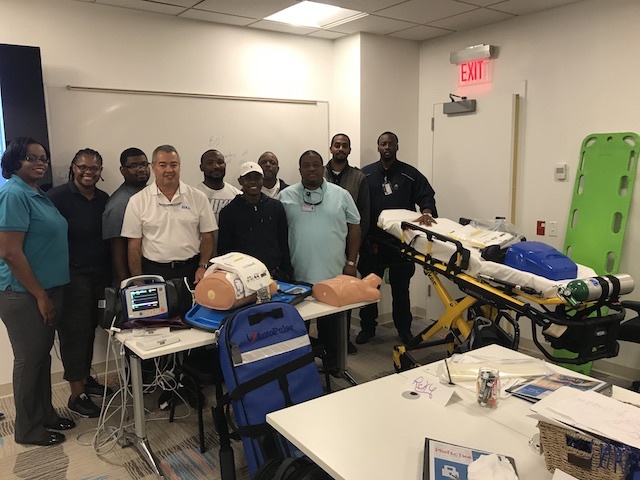 Baha Mar is the first Emergency Medical Service in the Bahamas to invest in the Zoll AutoPulse® Resuscitation System and X Series monitoring/defibrillation system to give their guests peace of mind in the event of an emergency. The AutoPulse helps to improve blood flow to the heart and brain because of the unique, high-quality chest compressions it generates. The AutoPulse is quick to apply, and provides consistent, high-quality chest compressions while moving and transporting patients, something that has not been possible with manual CPR. Easy to use and battery operated, the AutoPulse squeezes the patient’s entire chest to improve blood flow to the heart and brain. The only device of its kind, the AutoPulse automatically sizes to the patient, and has shown improved patient outcomes. It also frees a Paramedic to provide other interventions during transport. The ZOLL X Series™ Monitor/Defibrillator is about half the size and half the weight of competitive full-featured monitor/defibrillators, yet much more powerful and built to the most rigorous standards for ruggedness. This monitor/defibrillator combines the clinically superior therapeutic capabilities of ZOLL defibrillation, pacing, and real-time CPR feedback with advanced monitoring parameters. By providing high-quality advanced CPR on the move, the Auto Pulse and X Series also helps to ensure patient and rescuer safety during movement from the scene of the cardiac arrest to the back of the ambulance, as well as during transport to the hospital.